Expert Removalists and Moving Services in Sydney, Australia. Sydney Combined Removals have more than 20 years experience moving families and businesses across the Sydney metropolitan area. Our professional removalists can help with all home or office moves from a one bedroom unit to a ten bedroom mansion we are the company that can help. When you need to move offices you need it done efficiently and quickly. We have been moving offices in Sydney for more than 20 years and will get you into your new premises with minimal fuss. 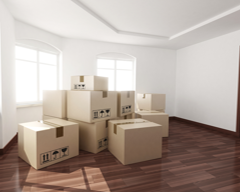 Our efficient Sydney packing services can help take the stress out of your next move. Our team can professionally pack all of your treasured items and then unpack them at their destination. Get a quote today! If you need honest reliable and professional removalists without the gimmicks then we’re the company to pick. Fill out our quote form and we’ll get back ASAP with a realistic price for your move. No Gimmick Removals; We only charge when we get to your house or office and we will always keep you informed in terms of any potential additional costs. We operate a broad range of modern fully equipped removals vehicles that can cope with any sort of access. 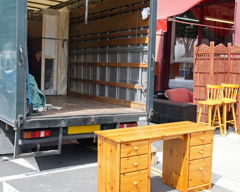 Each removals truck will have an experienced removalist plus a skilled offsider. For bigger jobs we can provide as many trucks or removalists as are needed to get your job completed as quickly and efficiently as possible. Sydney combined removals are a full service removals company that can assist you with packing and unpacking as well as disassembling and reassembling all of your furniture, workstations or office equipment. We are quite comfortable moving fragile or awkward items along with any bulky items. If you are not ready to move into your new home or premises we can recommend a number of Sydney based storage facilities that will be happy to store your items in a safe and secure manner until your new place is ready. We are honest reliable Sydney removalists who will give you a great affordable price without the gimmicks. Call today for a quote!